Call Today To Find Out How To Save Up To $1,600 In Rebates! Please fill out the form below or for an immediate response Call Us Today! 508-958-0634. Name Phone Email Desired Appointment Date Questions or Comments? 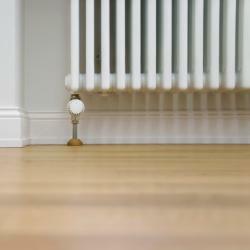 If you're looking to upgrade or replace the heating system in your home you may wish to consider radiant heating. A highly efficient system that is widely considered to provide the most natural and comfortable heat for your home, a radiant heating system is fairly simple to install and provides a thorough, even heat that will warm your house without creating an overly stuff environment. At Dighton Plumbing and Heating, we specialize in the installation of radiant heating systems and equipment. We stock a full line of radiant equipment and can tailor an ideal heating system for your home or business. There are a variety of options when choosing a radiant heating system. Heating systems can be installed via a series of hot water tubing below a surface, or as panels integrated into a ceiling. These systems are fueled by a boiler that can be run from gas, oil or electricity depending on the particular configuration of your home. Whichever configuration you choose, Dighton Plumbing and Heating will be there to install your new system quickly and efficiently and at a competitive price. Our skilled team of installers is all fully licensed and insured and hand-picked for their professionalism and experience. We take immense pride in our work as your satisfaction is the key ingredient in keeping our business a successful one. Dighton Plumbing and Heating stands behind our initial estimates. When you hire us to install a new system the price you've been quoted is the price you'll pay and we'll never tack on any hidden prices or fees mid-job. Warm up your home with radiant heating, call Dighton Plumbing and Heating today and schedule an estimate!